Do songs ever jump out of your memory and hit you between the eyes? ("eyes" is "een" in Ulster-Scots). It happens me all the time, wee songs and melodies and words that I've neither heard nor sung in donkeys years, but all of a sudden they jump up out of nowhere. In many cases I find that the words are perfectly timed to teach me a lesson. Brighten the corner where you are..."
So I felt more than a wee bit admonished by that. I've been wondering if the four of us would have been as motivated to play 21 1 hour concerts in Ballyhalbert, as we were about playing 21 1 hour concerts in America. Every day's a school day. We're always learning lessons. Weans can be very funny. We were talking to our three last night about Christ's return. Charlie (a bright and cheeky wee chappie who's 4 and a half) was astounded by this. "Really?!" he said "Jesus is coming BACK?!". I said, "Yes Charlie, that's right. And some people say that the Bible tells us that He's coming back like a thief in the night!". You may already know Ricky Skaggs - an east Kentucky boy of Ulster descent and a bluegrass legend. This is part post and part experiment of linking to a YouTube video. Hope you like it. If you've seen our Washington photo gallery on Flickr, you'll see that we had t-shirts made for the trip - one blue, one cream. Polo shirt style, with Lowcountryboys.com on the front, UlsterVirginia.com on the sleeve, and Psalm 23 in both English and Scots on the back. We got 5 of each made up to keep us going. But there's no way I need 10 tshirts, so... I'm going to give 6 of mine away free of charge - on a first come first served basis, three blue and three cream. And yes, they are XL and they have been washed since we came home! Accelerated by Crawford's email of earlier today, I've now uploaded about 50 pics of our Washington trip to our Flickr site here. Will hopefully add a wheen mair over the next few weeks. We're back home again, tired but very happy. Settling in to life at home is nice, but it was a shame to have to leave Washington DC. The Smithsonian Folklife Festival was a fantastic experience, especially for four farm boys like us with such limited ability. I think we overcame our musical shortcomings though - I hope the faith, the humour, the history and the cultural connections stories that we told onstage helped the US audience make sense of what we're all about. We honestly did grow up with old hillbilly and country gospel records in our homes, with grandparents who played fiddles, hammer dulcimers and mandolins. We all sang old evangelical revivalist hymns - and for hundreds of thousands of "Ulster Protestants" that was our upbringing, and it's an upbringing very familiar to American people even today. A big thank you to all the Festival staff; especially to Mike Monseur and his mom Mary (for that huge package of CDs! I'm still working my way through them! ); to Rosemary Black for her conversation and the CDs as well; to Gerald Anderson from SW Virginia for his CD; to Brien Fain the wonderful banjo player from SW Virginia (thanks for letting me play with y'all in the hotel that night!). And a big thanks also to the dozens of American people who came over to talk to us either before or after our performances - you helped us really connect, and reinforced for me just how similar our cultural values are on each side of the Atlantic Ocean. 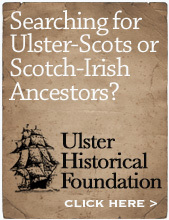 We're Ulster-Scots, and you're Scotch-Irish - separated by a few thousand miles of water and yet connected by so much we have in common. 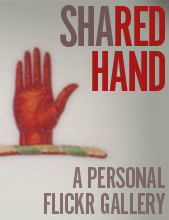 We are proud to have met you all, to have shared our stories and to have made new friends. In the early 1900s, The Carter Family made the hymn "Will the Circle Be Unbroken?" famous in the USA. 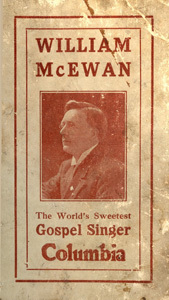 But before they recorded it, William MacEwan (the singing evangelist from Glasgow) recorded a slightly different version of it here in the British Isles. Well, thanks to the Smithsonian Folklife Festival, I think the Low Country Boys' Circle just got a whole lot bigger! We're now on our two day break in the middle of the Smithsonian Folklife Festival. So far we've done 10 one hour concerts, and it's been great fun. We've met lots of fantastic people who are interested in the culture, history and gospel connections across the Atlantic. Lots of christian folk who are delighted that we're presenting a gospel message. Too many to list here. We even had a track played on the famous Washington DC radio show "Stained Glass Bluegrass" (it was "Come Thou Fount of Every Blessing"), on WAMU 88.5FM. You can listen to it online every Sunday (UK time 11am - 3pm). The Kennedy Centre went really well, full house with hundreds of folk standing at the back of the long room. An amazing venue and a real privilege to be there. On the wall outside the entrance there's a JFK quote inscribed in huge letters into the stone panelling which reads "...this country cannot afford to be materially rich and spiritually poor...". In the midst of all that grandeur, I hope we helped to redress the balance, even if only for an hour. So tomorrow's the 4th of July - America's National Holiday - and DC will have millions of people descending for the celebrations. I wonder if it'll be as good as the 12th July at hame?! 11 concerts to go... and we'll be live on BBC Norn Irn themorra nicht on John Toal show at 11pm Norn Irn time, which you can listen to here at about 1hr 15minutes in. John was at our show on Sunday afternoon and he told Graeme that as he stood at the back of the tent, he thought it was like being in a mission hall! Soons like we're mebbe no daein sae bad.